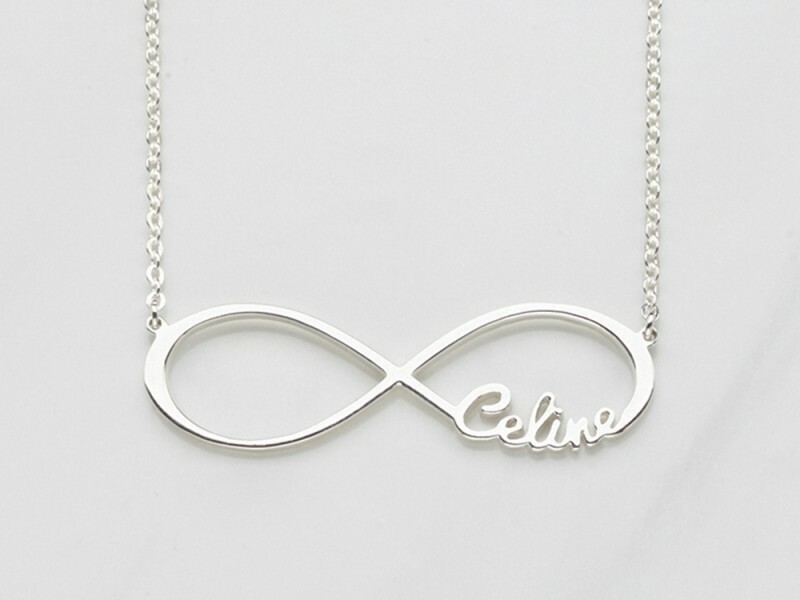 A everlasting symbol of love, this stunning infinity necklace with name features a single name cut in a classic infinity design. 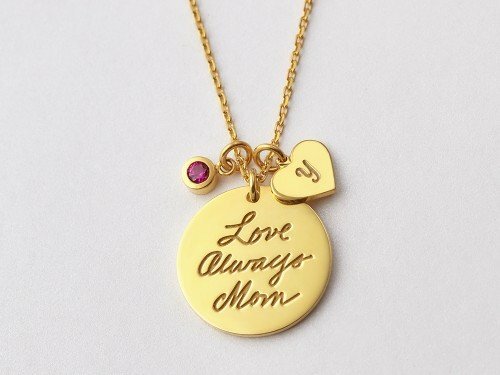 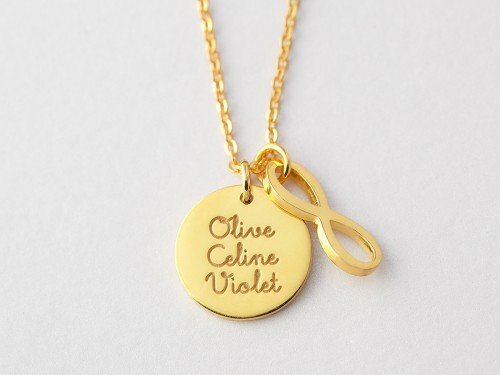 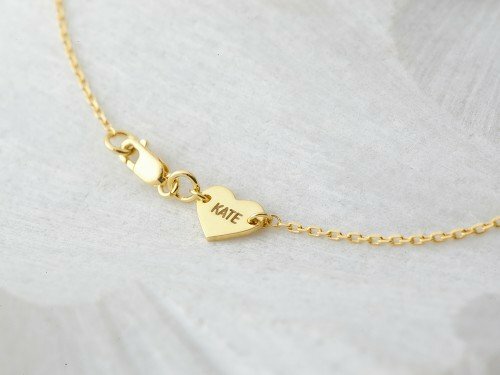 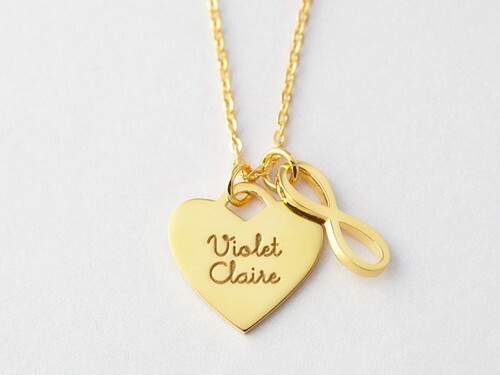 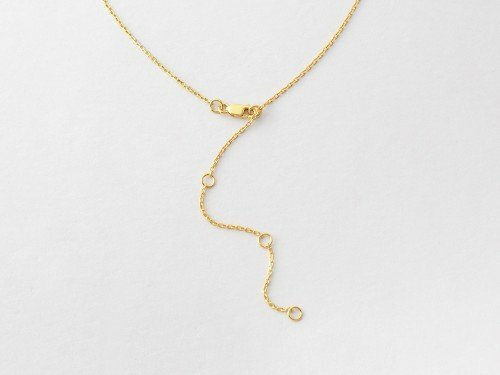 Available in sterling silver with 18K gold plate options, this personalized infinity necklace is a great gift for anyone who loves a touch of meaning in their jewelry. 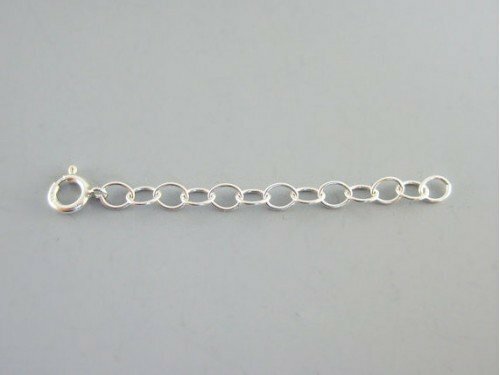 - Character limits: 8 characters. 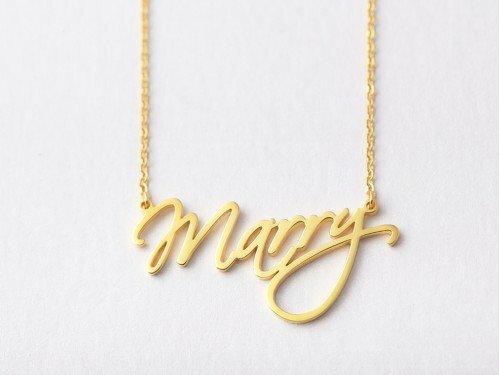 Please enter your name exactly how you want it, minding the case of each letter.